Recently I found myself in Burscough with an hour to kill. While I was waiting, I wandered the mean streets. Burscough is a small but pleasant town, with a pleasant high street of independent butchers and bakers (how long they will survive the presence of a giant Tesco nearby remains to be seen). 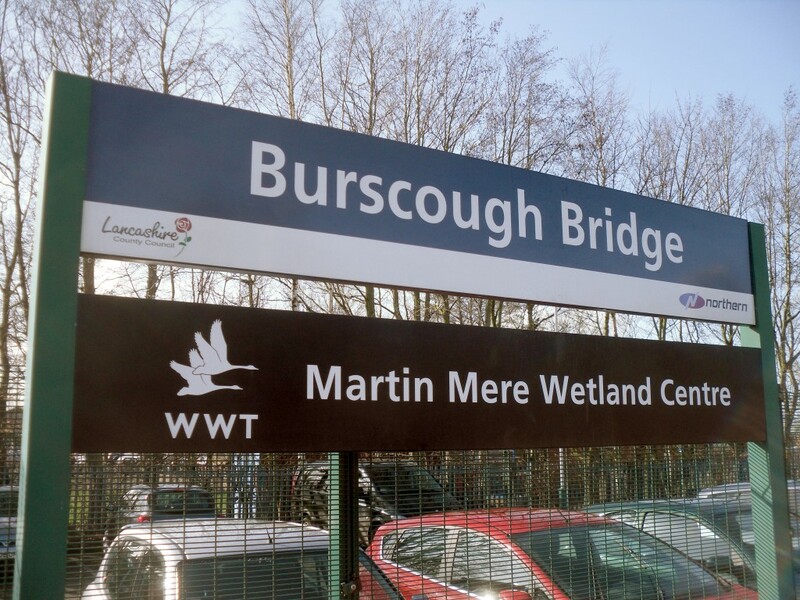 A quirk of railway geography has resulted in Burscough being provided with two stations on different lines, and my wanderings led me to the more important of the pair: Burscough Bridge. I had heard there was a café there and thought I might be able to combine coffee with Pacer-watching. This should be considered very much a bonus station, outside the usual blog remit. For starters, it is not in any way a “limited service” station – in fact it is blessed with a half-hourly service between Southport and Manchester for most of the day. Secondly, I did not arrive or leave by train or official rail replacement bus. Finally, I didn’t get a photo of myself under the station sign (because I forgot, to be honest).